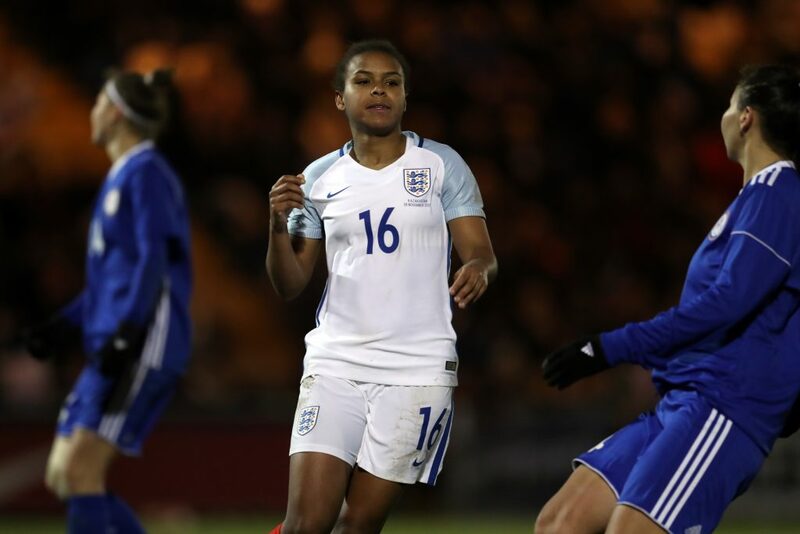 Mo Marley, the Lionesses’ interim Head Coach was content, measured and ‘chilled’ after seeing her side put on another entertaining display to despatch Kazakhstan 5-0, at Colchester United’s Weston Homes Community Stadium. The match was enjoyed by a chilly but happy, sellout crowd, of 9,643. We’ve tried to use the ball well in the last couple of games, that’s been the common theme. We just said be a little cleaner in possession, we’ve done well up to this point in the two games but at half time we said, ‘By our standards this is not good enough,’ and that was really the only major change, our personal standards, individually and collectively, so that was the key message at half time: be a little more positive and clean and clinical with what you’re doing, get the wide players to be a little more direct and take the game to the opposition, rather than waiting for things to happen. Most importantly, they have trained well. Mel made her debut in France, she came on as a sub, and that was right for her to gently integrate her. 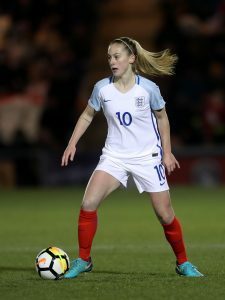 Keira, as have all of the young players – it’s important to put that out there – have trained fantastically and the older players have allowed them to integrate. I think tonight was the right time to balance it off a little bit and that’s what we’ve tried to do across the games, to try and get some of the youngsters in, get them playing some football but more importantly we’ve got World Cup Qualifiers and we have to win them. So it’s important to embed the kids but it’s crucial that we still perform, we still have a game plan but I’ just felt today was the right time for them. We’ve always known Nikita’s potential, like all of the younger players, we know they’re here because we believe that long term they can establish themselves in the team. I’ve seen Nikita grow up through the years. 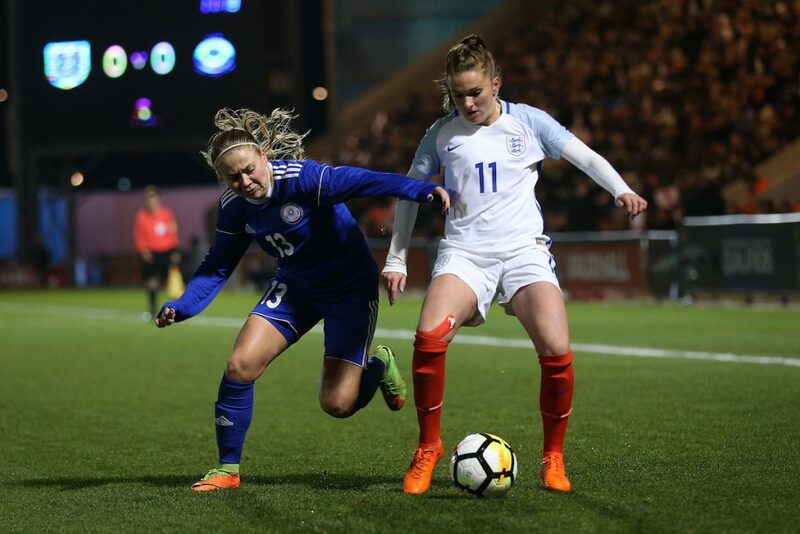 She is improving year in and year out, she’s playing really well for her club at the minute and it’s that confidence that you get from a run of games for your club and for your country and then before you know it you’re getting some continuity for yourself. That goes back to that balance bit. Nikita’s had to work hard for this but she’s a great example now for all of the other younger players who have come in, trained, been in and around the squad and on the bench. Well it’s interesting because obviously, Fara’s the penalty-taker whilst Fran isn’t on the pitch and Fran came on for Fara and took over as penalty-taker. So, I knew what I was doing. I knew it was coming. *Laughs* Not quite. I think we get the benefit of all of the players playing regularly, week in and week out. It’s important. Training and having that cohesion. Traditionally in the women’s league, the stronger, dominant teams have had a lot of England internationals. 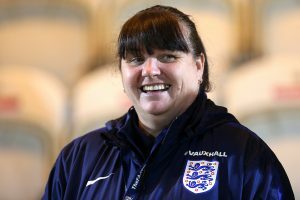 For me, it’s a case of you’re playing week in and week out, and each of the big teams actually have England players but the ones who are playing regularly – we mentioned Nikita, she’s playing week in and week out and it’s fluent and that’s why it works – and that she happens to be playing with those players in her club, then it’s got to help with that understanding, for sure. Yes. Though it’s different when it’s women [as opposed to girls], it’s a little harder as they can man to man mark you or keep up physically, whereas in the youth section there’s usually a bit of a gulf, whereas at senior level there are long periods of time where it is matched. That was part of why it took us a lot longer to to actually break them down today. Kazakhstan a little different to Bosnia, Bosnia left us a little bit of space and we exploited it, whereas Kazakhstan were a little bit tighter and we found it a little bit difficult. I’ve just really enjoyed it. I just love working with England teams, regardless of what age it is. I’ve done it for a long time and I’m happy to be involved. It’s privilege to be associated with any of the teams and I’ve always said that at the end it ill be a case of sitting down with the relevant people, reflecting, sharing, in that transition phase between the interim manager and the permanent manager and making sure that we’re in a better position moving forward for the next coach, whomever that happens to be. I’m pretty cool about it being the right person and if that’s at my expense then, I’m all for it because I’ve been involved in the game long enough and I want England women to win the World Cup as much as the public do. This is me. This is it. I’m quite chilled about it. The post was available four years ago, I’m chilled about it. If there’s a better person to do the job, then I’d welcome that person in and share all of the experiences I’ve had. For me, it’s not just about being at the top , it’s about the pathway, integrating the top to the bottom, managing up and down, that’s equally as important as the next person coming in. Can we get more of the players on the pitch, getting them ready a little bit earlier, I’m about the bigger picture. I’ve been open about that and so I’m pretty chilled about it. Well, of course. If I said I was going to go, I would expect to turn up! And of course, you’ve got to think about what we’ve done internally: processes, strategy, there’s a lot of information from three games – that’s like a quarter of a season almost – so there’s loads to go through. So there will be a formal debrief and a formal discussion and that will include where I fit in that. It’s not for me to say if this has been a good showing of what I could do in the job. It’s not for me to make that assessment. This is what we do with our squads, you can see a reflection of how we play. It’s consistent with the age groups. I don’t know any different. I don’t think it will be an interview as such, more a case of, if I was going to do the job: ‘have I got a plan?’ ‘Will it take the team to the next level?’ And, ‘is it going to move the team from third to first and are we going to win the world cup?’ That’s the key thing for me. I think It’ve got a bit of knowledge about it all but I’m sure there are lots of good coaches out there in the world that can actually, probably, do a better job than I have because they have more experience than I have at senior level. And it’s very, very different. 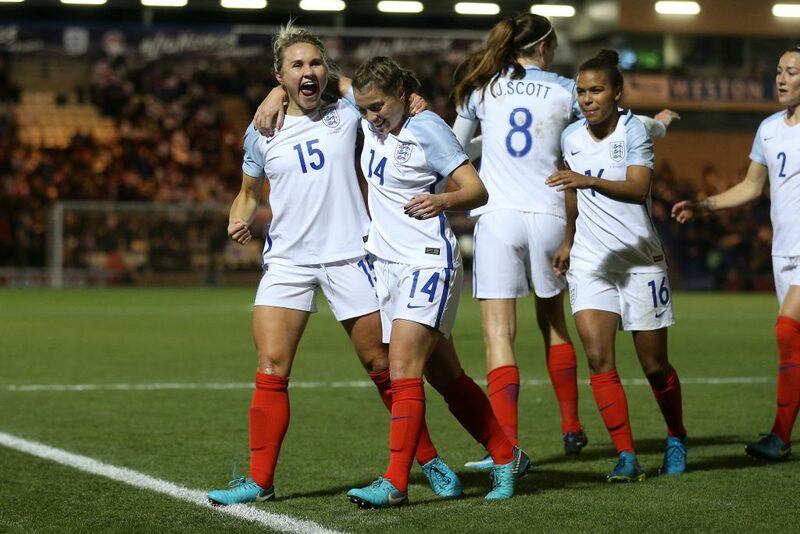 U20s, U19s and down is weighted more to player development – nice to see those players out on the pitch – seniors it’s about winning enough games to qualify and keep your job. Very different. They’ve proven that they can mix up the playing styles, that we can flex it…I thanked all the players for embracing my ideas and the way I’ve worked. Thanked the staff for their contribution. It’s been a difficult time in transition. And basically, applauded everybody: staff and players , because we’ve done the job. That’s all that matters. I’d have been disappointed if we hadn’t won, hadn’t played well but I’m more than happy and so I thanked everyone for that. Kazakhstan game a joke.Several great individual performances but as a team rubbish.Bronze[worlds best defender] playing as a forward.Greenwood trying to do a Duggan and firing in crazy shots whenever within 35yds of goal.As this was a WC Qualifier Mo should have fielded a team not an untried group to show strong hand to rest of the world.The opposition was so weak it was sad.The only thing we learned was that Lionesses need a world class manager now, be it from Manchester,U.K.or Rest of the World. Wow. You don’t seem very happy!